I am a chemistry major, 32, with 8 years of lower level scientist work. So the age does not have to be an issue but the fact that you have had few leadership experiences might be. On the other hand, that could be compensated for by other aspects of your profile, such as your extra curriculars, so in order to be able to give you a good evaluation I would really need to know more about you. Therefore, I suggest you use our admission chances calculator https://aringo.com/mba-admission-chances-calculator/ and add a sentence or two about the specific schools that interest you (and preferably why) at the end when sending this to us as that will give me more details to work with, for a more thorough evaluation. Would help if you elaboarate what you do as a scientist. I see a potential here but can only recommend if I have an understanding of your profile. 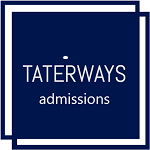 You can connect with us at connect@taterways.com / +91-9167833669.